I get on Slow Cooker kicks. It's a new addition to my kitchen and I really do love how it can feed an army (or us for maybe a week) and get a meal that has hung out for a long time, cooked down, and tastes delicious. Well, not this time. Here's another- read the recipe and make sure you're ok with it before you start cooking- experiences. That said, Benjamin's from the South and liked this. He had it for dinner, and lunch the next day. So, maybe if you're from the South, your taste buds would like this. For me, the vegetables got too mushy and there wasn't enough flavor. Better luck next time. Here's Southern Living's Recipe. If you can find vegetable gumbo mix in your grocery store, you might have better luck than I did! 6 skinned, bone in (if you can find those) chicken thighs - very budget friendly! So, I liked this recipe because of the loads of veg and also the budget friendly chicken thighs. 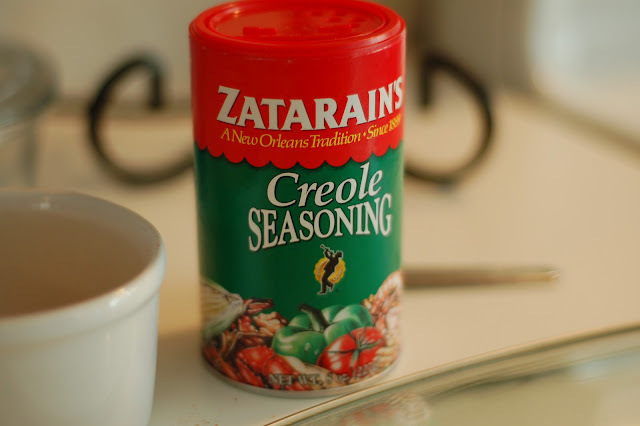 What you'll need to do is stir together the first 4 ingredients and 2 tsp Creole seasoning, and place in the bottom of a 6 quart oval slow cooker. Next combine paprika and another 2 tsp. 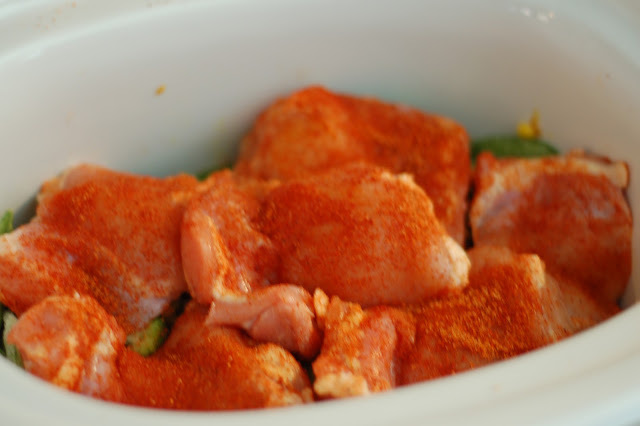 Creole seasoning and rub over the chicken. Place on top, cover and cook on LOW for 5-6 hours. I will say, the chicken was moist but I probably should have given this only 3-4 hours. Maybe my slow cooker is just that awesome.